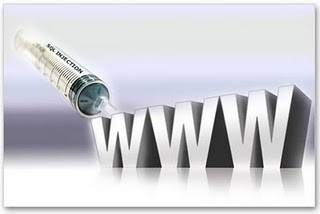 In this tutorial I will be explaining What is SQL(Its structure), what is SQL injection? how to perform the attack? and how to make your website safe from such kinds of attacks. Before you read any article on sql injection I recommend you to read this first. In this tutorial I will be using MySQL and PHP. I have chosen PHP since it is most widely used language and and in most of the cases MySQL is used as database with PHP. PHP is a web scripting language like ASP, JSP, CGI....You need not learn this attack in every language, the concept of attack remains same for all the languages. SQL server-> Databases->Tables-> Columns and Rows. Sql server: is an application which runs on server side of the application and serves the request as per the command given in client side. Database: This is a kind of container where particular applications related tables are kept. Tables: It stores the data in the form of rows and columns. This is not the exact login form just to give you a feel how exactly login form works i have written this code. Just focus on the dark shaded portions of the code, as you can see the login details is sent via "post" method as soon as the submit button is clicked, after clicking the submit button the PHP code will run as "isset" condition is true. Now lets see what happens in the background, the select function tries to fetch the details from the "member" table by comparing the username and password sent from to the username and password inside the member table. Clearly the code which I have written is vulnerable, lets see how? Now if you see carefully the two shaded portions, they both results "true". That means our username and password is accepted. the command after "--" will act as comment. Example type: inurl:login or inurl:login.php or inurl:adminlogin or intitle:login in Google search box. Note: It is not necessary that these combinations will always work. It will depend on the way the script engine is programmed.